FI hope you and baby enjoy this wonderfully fuzzy free knitted baby blanket pattern. 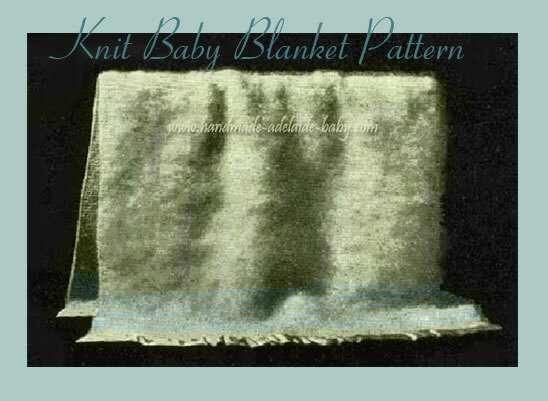 This lovely blanket pattern is very simple, and adaptable. 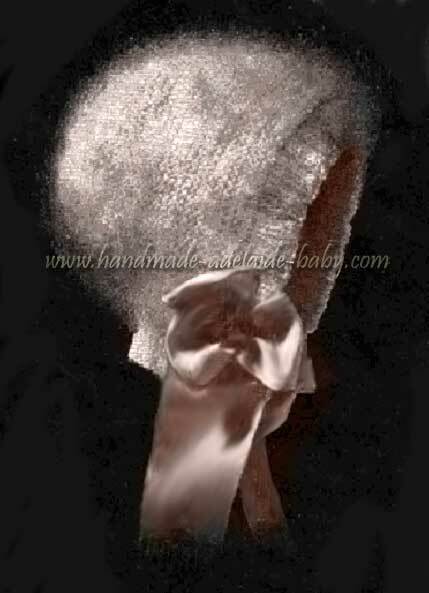 It is intended to be made from wool, but can also be made from luxury yarns and in any color or combination of colors. free baby sweater knit pattern and knitted bonnet. 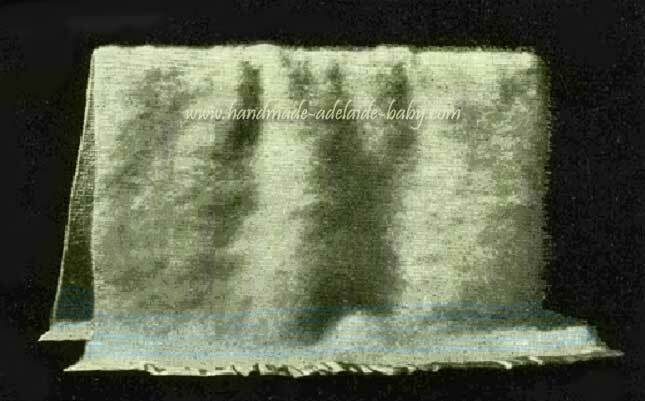 This lovely baby blanket was featured in a pattern book from the 1890's. 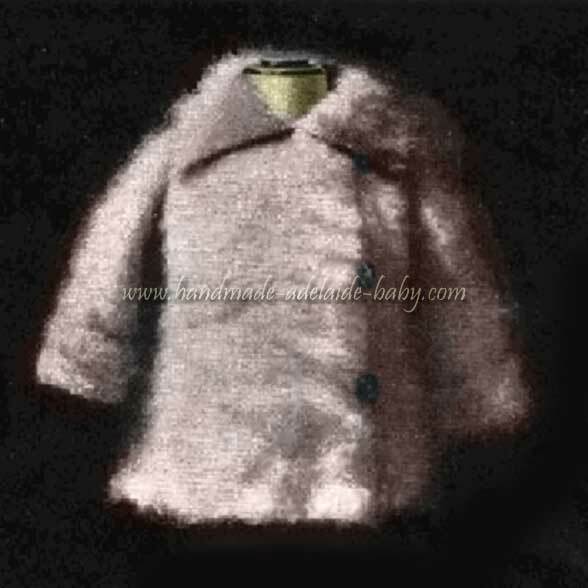 It is a simple knit pattern, with a combed fuzzy effect that is acheived by applying a stiff brush to the wool after the blanket is finished. 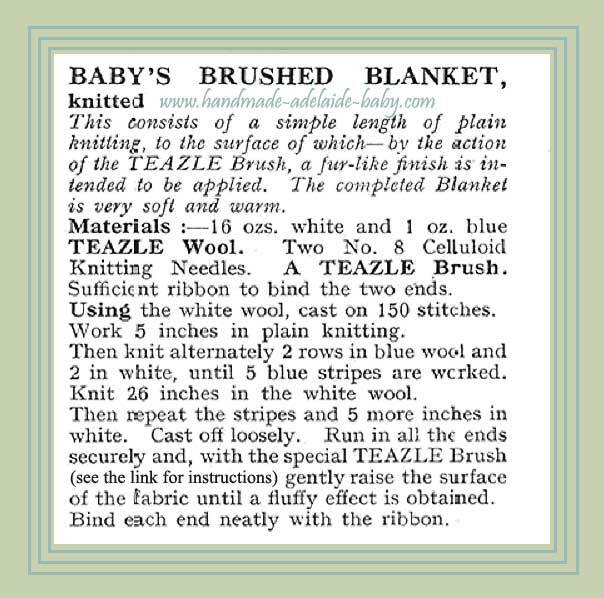 Instructions for teazing the wool are included with this free baby sweater knit pattern.